The ability to generate an export from your application in Excel or Word format is especially useful for enabling your users to get printable reports. An Excel export can be preferable when you want your users to be able to analyze the results. 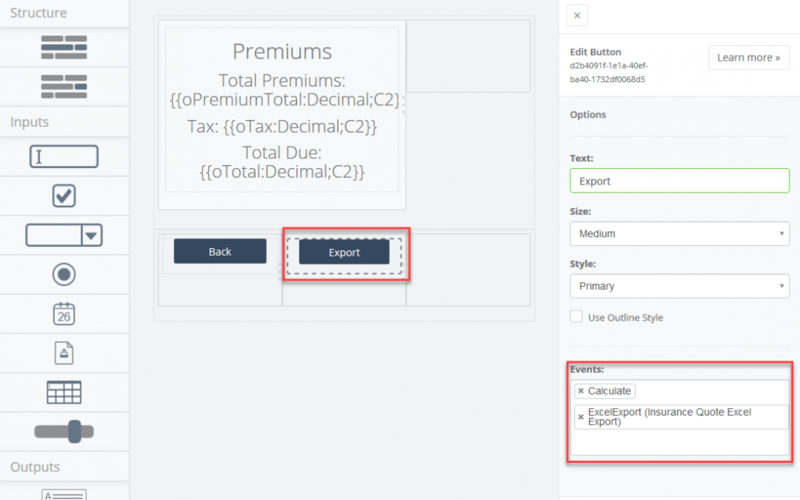 In this tutorial we’re going to show you how to create Excel exports in the designer. Let’s take a look at an example. 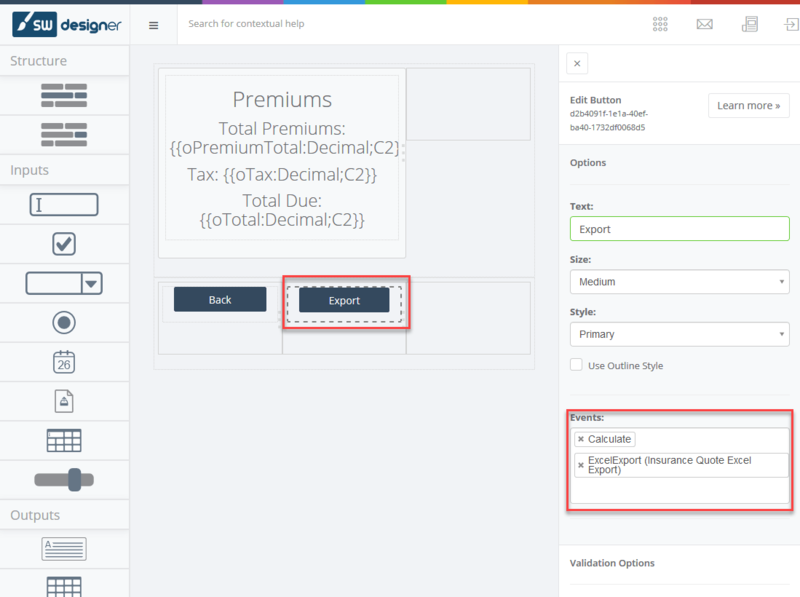 The application we’re going to be using is an insurance rating tool that contains several pages and calculates a premium for home insurance based on user inputs. To create an Excel export, begin by preparing your excel template. You can either create a new Excel spreadsheet which will act as a template, or you can choose to use the underlying Excel file for your application for simplicity. Data columns with named ranges that match those from your application will be included in the export. 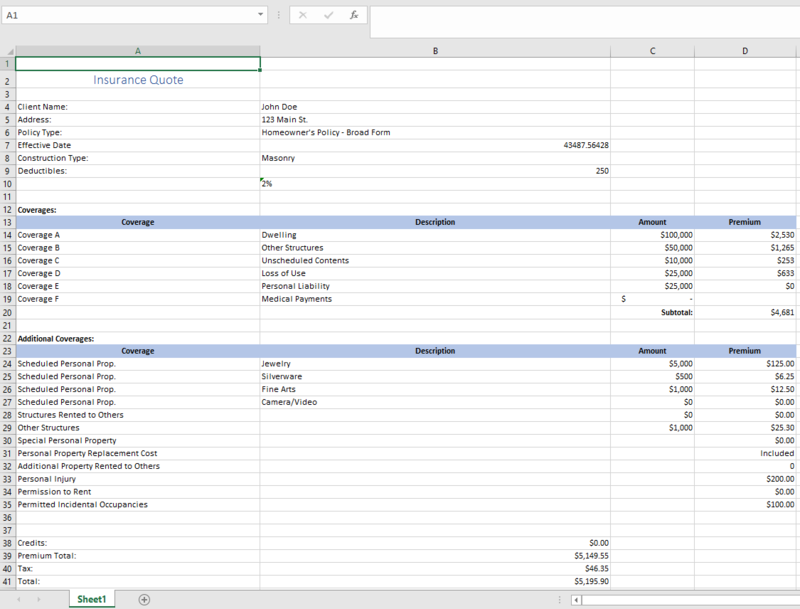 In this example, we’re going to be using the underlying spreadsheet. Once you’re ready to upload your file, go to the designer interface, and click Events. 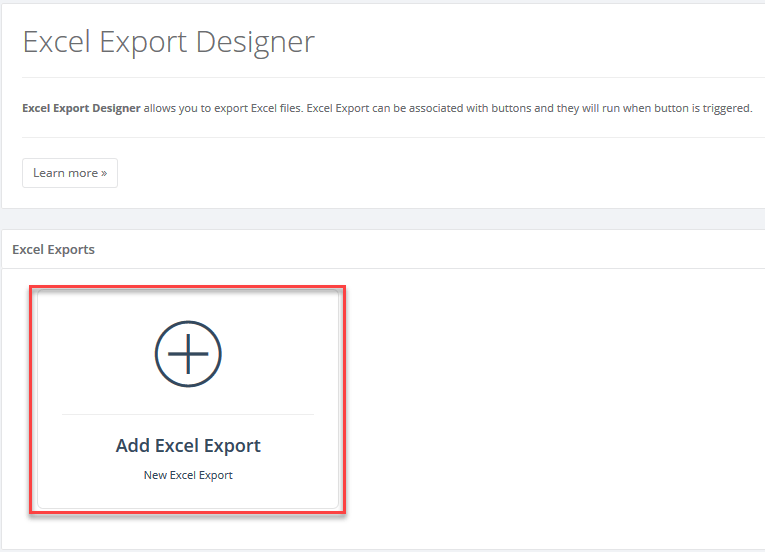 You can alternatively click on 0 Excel exports to directly go into the Excel Export Designer page. Here, click on Add Excel Export button to create a new process. Continue by filling out the details for the export process. Note that the Name field is a friendly name that only you will see during application development and will not be visible to the end users. 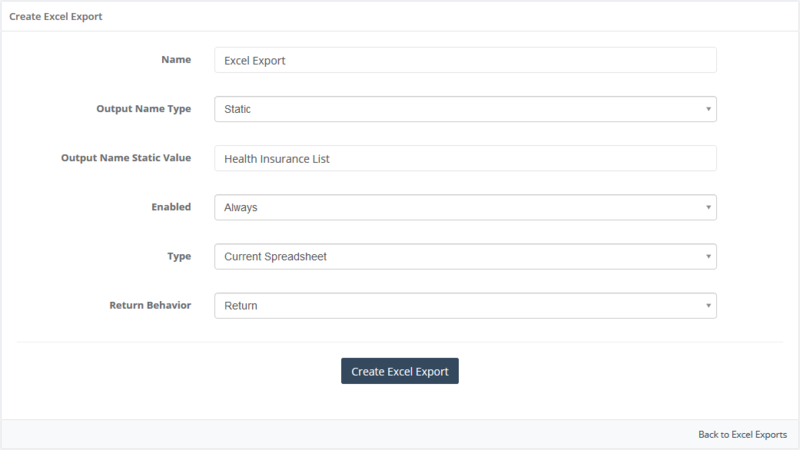 Here, we assigned a static name “Health Insurance List” to our export files and selected the Mapped options from Type to create the export using the underlying workbook. In this scenario, the named ranges in the underlying workbook will be populated with the inputs and results in the user interface. Once you’re ready, press Create Excel Export to create this as a new process. The new Excel export process must be tied to an Action button in the user interface for users to trigger it. 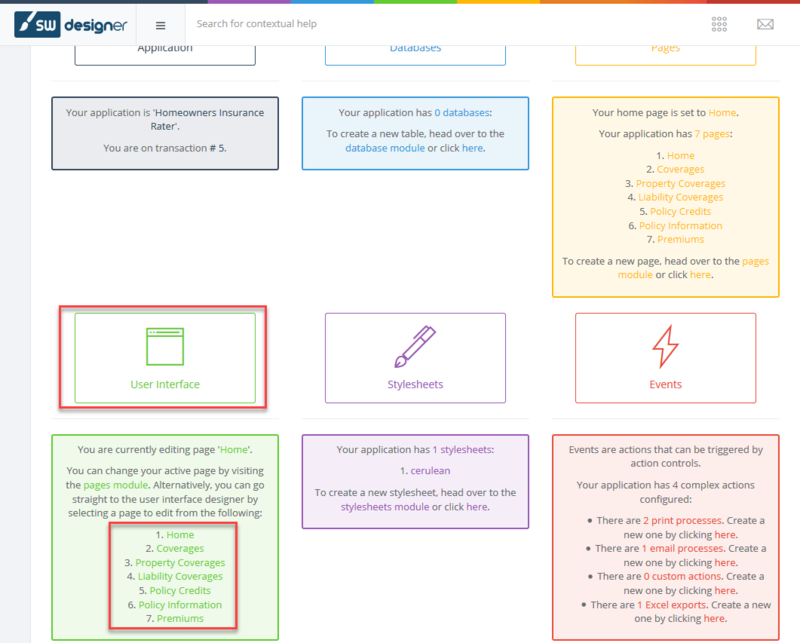 To do this, go to the user interface designer in the designer interface, and click the page in which you want to add this functionality. 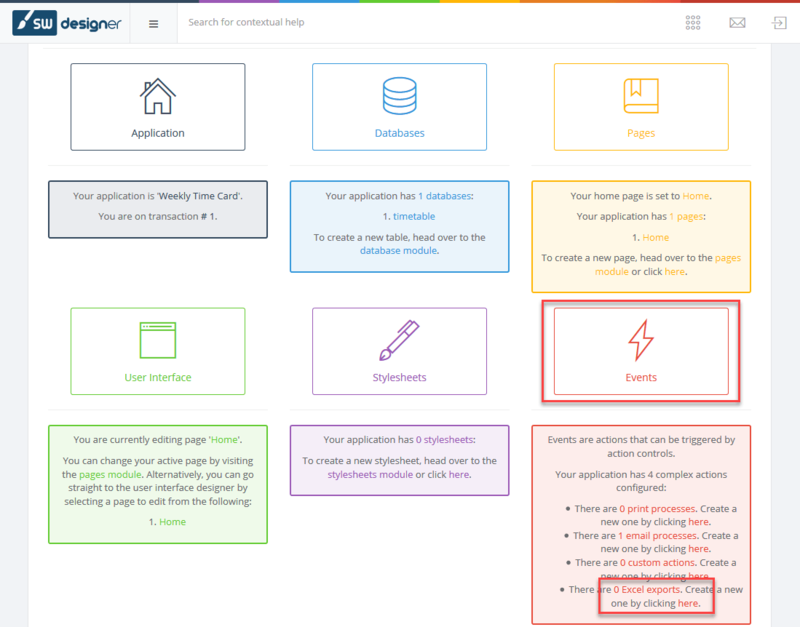 The last page of this application contains two buttons – one for saving user data, and the other for creating an export page. To assign the export process to the “Export” button, begin by selecting it. The new print process will show under the Events section in the right-hand menu. Add the new process to the list of active events and remember to press the Submit button to save your changes. When published, you can click the “Export” button to get an Excel export with your inputs pre-populated. Also check out the related video below!